We have been sick in our house, and it has been miserable, which is why this post has been delayed for so long. We have been excitedly waiting for the weather to get nice enough to set up the water table in the backyard, but unfortunately that time is still not here, so I went ahead and set up a water station in the kitchen. Toddlers seem to love water, any water, whether it is a muddy puddle in the yard, the water you left on the table last night that their little hands found their way into, or in the tub where they can splash around to their hearts content. And why not? Water play is great, it is so open ended, they can take it anywhere and it has so many variations that no session need be like the last! We have hardwood so I put down a drop sheet on the floor and covered it in towels (I imagine a tarp would be even better but I couldn’t find ours) so that he could splash around without to much water soaking through. I gathered some supplies from around the house. 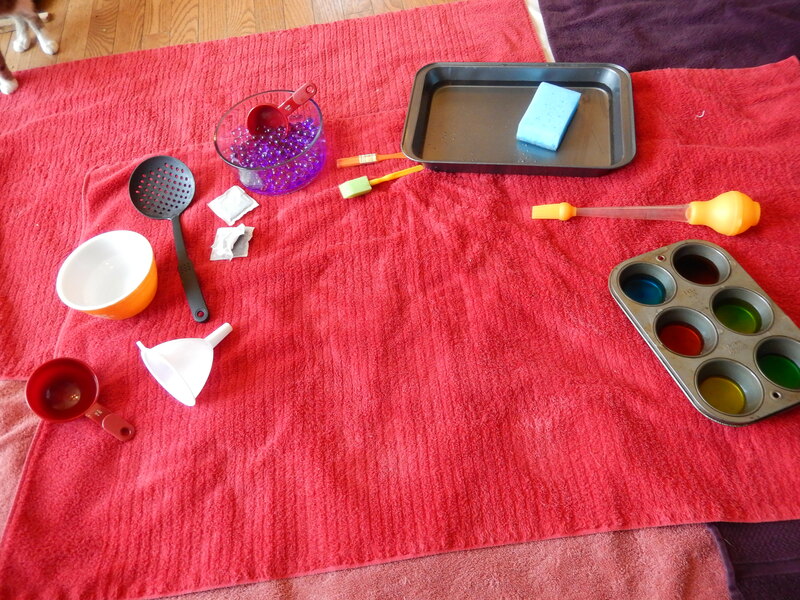 We used bowls and trays filled with water, funnels, measuring cups for scooping and pouring, spoons, tea bags to add some scent when mixed into the water, water beads in a bowl, paint brushes, a sponge, a turkey baster, and a muffin tin filled with water. I added food colouring to this one, an invitation to explore colour mixing. After this picture was taken I also added a spray bottle. I stripped him down to his diaper and since I knew I was probably going to get wet as well I took of my shirt and let him have at it. He went straight to the water beads. 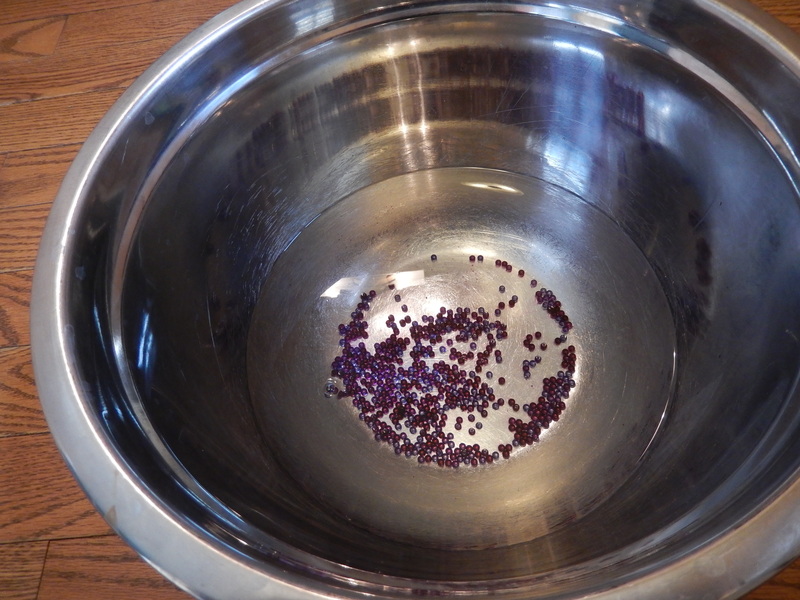 Water beads are a great item for sensory play, they start as these little tiny beads and after soaking in water for a couple days they turn into a much larger bead that is slippery and a bit squishy, for example, here is what they looked like before expansion. And here they are once Gray started scooping them up. Water beads are definitely something that needs to be monitored while young children are using them, they are small and easily a choking hazard, even thought they are non toxic. 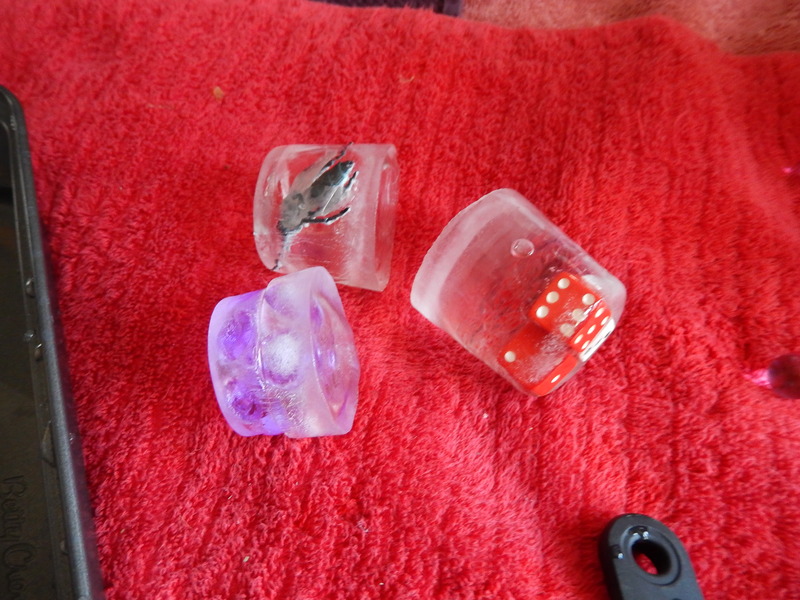 For added fun and discovery earlier in the day I had frozen a few things into ice to add to our water play, I froze a small plastic bug, some water beads, and a few dice for him to discover as the ice melted, they were much to big to fit in an ice cube tray so I froze them in small cups and ran the cups under hot water to loosen the ice chunk so I could remove it. 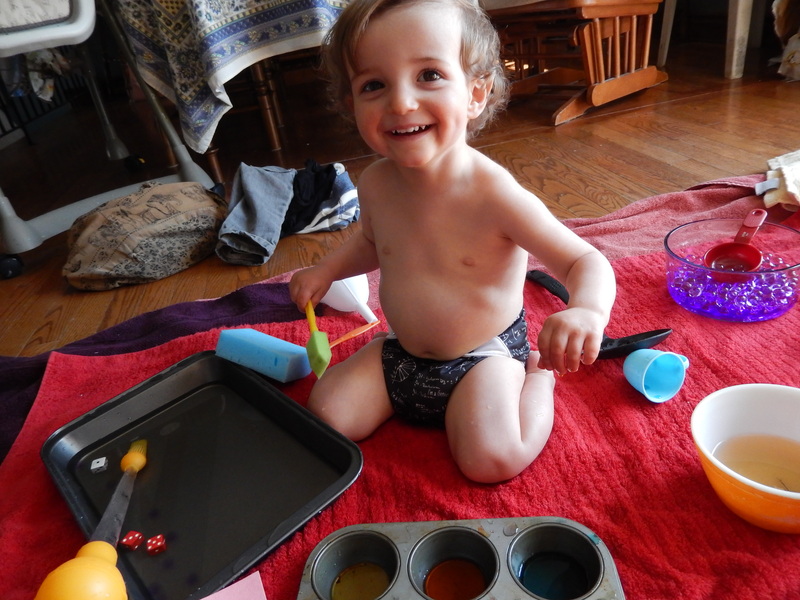 Once we moved on to the muffin tin he discovered the different coloured water and boy was he excited! 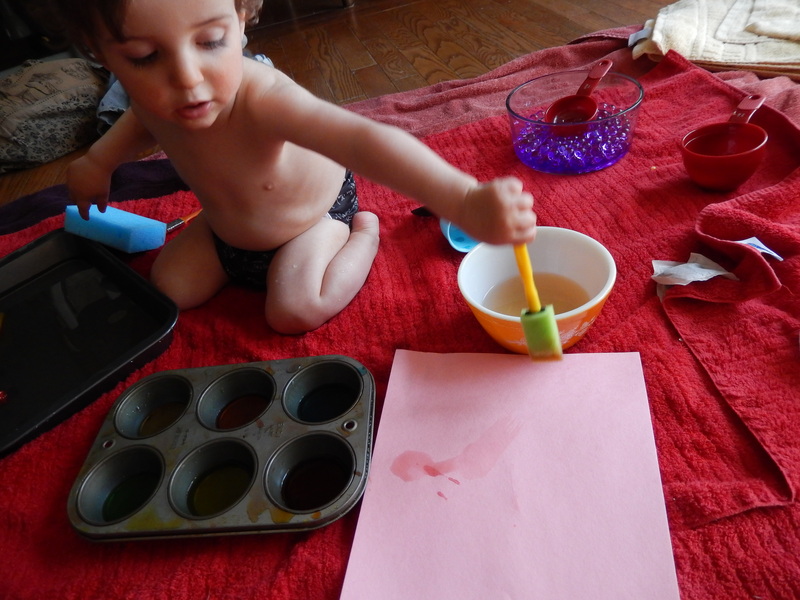 He took up one of the paint brushes and started painting the towels so I got him a piece of construction paper and he painted that with the coloured water. 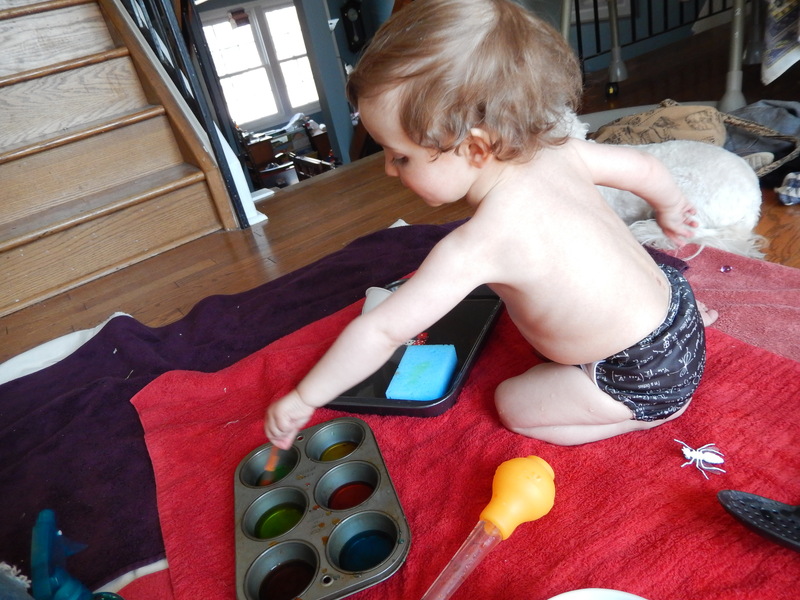 He then discovered the sponge, which he quickly learned would absorb the coloured water and left a really cool looking splatter, which he had a lot of fun mixing colours into. 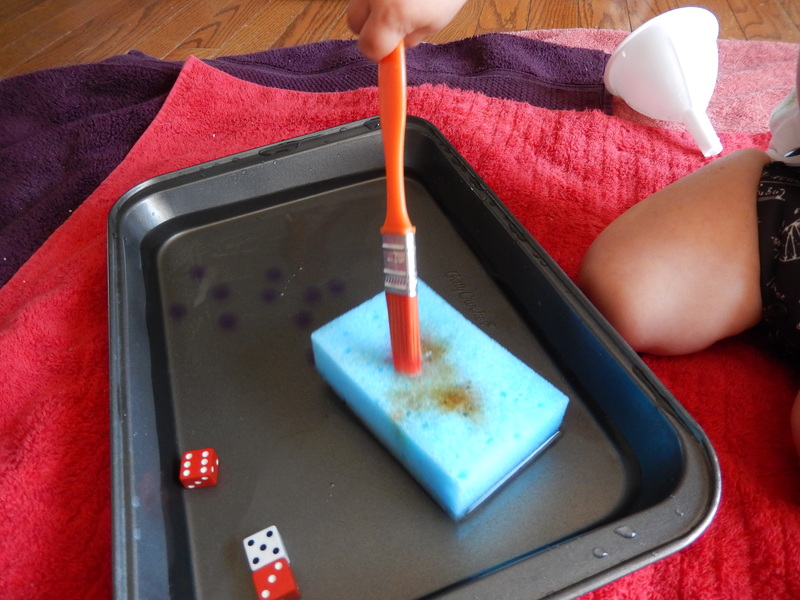 The sponge ended up being the biggest hit of the play session, and once he discovered that if you squeezed it water would come out he squealed in delight and squeezed away, followed by a revelation that if you throw the sponge at the pan of water it makes a big splash. As I mentioned there is so much you can do with water play, and he spent an hour and half with just this small set up! I would love to hear about your water play ideas and what you like to do, thank you for joining us at excite and explore! 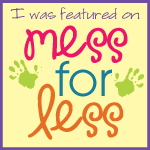 Categories: Fun at Home, Sensory Exploration | Tags: sensory play, Toddler, Water play | Permalink. I really like your ideas for water play, especially painting with the tinted waters and freezing objects into ice cubes. We often let my son play at the sink with a trickle of cold water going. 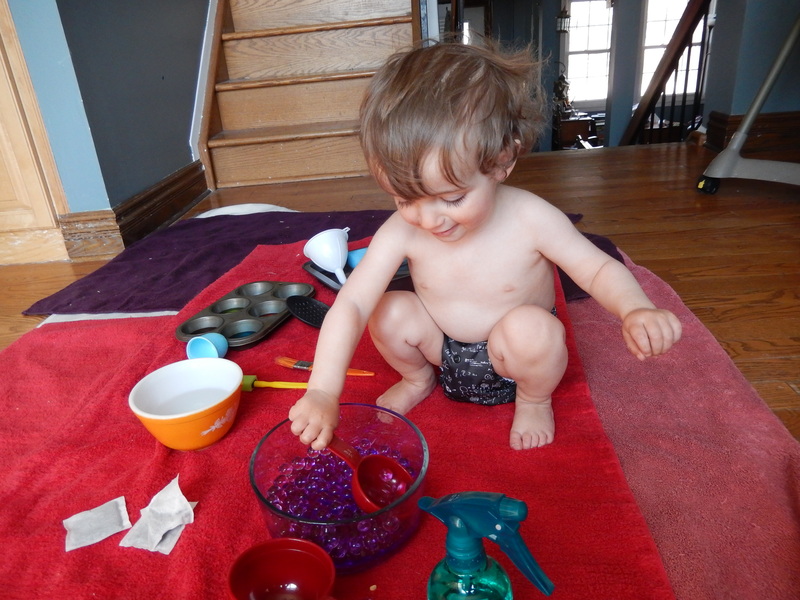 He likes to put measuring spoons under the trickle and practice pouring various amounts of liquids into different cups. I’m so glad you like it. We will have to try playing in the sink, it would definitely contain the mess!